This is A Non Refundable $100 Deposit Towards The $400 1 Btl Purchase – Upon Arrival To The Venue Client To Pay Venue $300+ Tax & Gratuity. Failure To Show Up At The Venue On The Day Of The Event For Any Reason, Will Not Entitle You To A Refund! This Payment Is A Non Refundable Deposit Towards The Purchase Of The Btl Purchase You Have Chosen. All Sales Are Final. You Will Owe The Balance Of The Btl Purchase When You Arrive At The Venue. Your Balance Due At The Venue For This Btl Will Be $300. This Amount Does Not include NYS Sales Tax & Gratuity, To Be Paid At The Venue. By Making This Purchase You Agree To The Terms Above & Agree & Waive Any And All Rights To Dispute This Purchase After The Fact. This is A Non Refundable $150 Deposit Towards The $700 Premium Package – Upon Arrival To The Venue Client To Pay Venue $550 + Tax & Gratuity. Failure To Show Up At The Venue On The Day Of The Event For Any Reason, Will Not Entitle You To A Refund! This Payment Is A Non Refundable Deposit Towards The Purchase Of The Table Package You Have Chosen. All Sales Are Final. 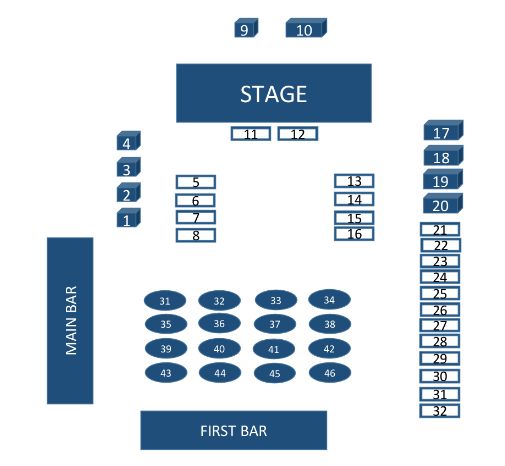 You Will Owe The Balance Of The Table Package When You Arrive At The Venue. Your Balance Due At The Venue For This Package Will Be $550. This Amount Does Not include NYS Sales Tax & Gratuity, To Be Paid At The Venue. By Making This Purchase You Agree To The Terms Above & Agree To Waive Any And All Rights To Dispute This Purchase After The Fact. This is A Non Refundable $325 Deposit Towards The $1400 Luxury Package – Upon Arrival To The Venue Client To Pay Venue $1075 + Tax & Gratuity. Failure To Show Up At The Venue On The Day Of The Event For Any Reason, Will Not Entitle You To A Refund! This Payment Is A Non Refundable Deposit Towards The Purchase Of The Table Package You Have Chosen. All Sales Are Final. You Will Owe The Balance Of The Table Package When You Arrive At The Venue. Your Balance Due At The Venue For This Package Will Be $1075. This Amount Does Not include NYS Sales Tax & Gratuity, To Be Paid At The Venue. By Making This Purchase You Agree To The Terms Above & Agree To Waive Any And All Rights To Dispute This Purchase After The Fact. This is A Non Refundable $400 Deposit Towards The $2500 Gold Package – Upon Arrival To The Venue Client To Pay Venue $2100 + Tax & Gratuity. Failure To Show Up At The Venue On The Day Of The Event For Any Reason, Will Not Entitle You To A Refund! This Payment Is A Non Refundable Deposit Towards The Purchase Of The Table Package You Have Chosen. All Sales Are Final. You Will Owe The Balance Of The Table Package When You Arrive At The Venue. Your Balance Due At The Venue For This Package Will Be $2100. This Amount Does Not include NYS Sales Tax & Gratuity, To Be Paid At The Venue. By Making This Purchase You Agree To The Terms Above & Agree To Waive Any And All Rights To Dispute This Purchase After The Fact. 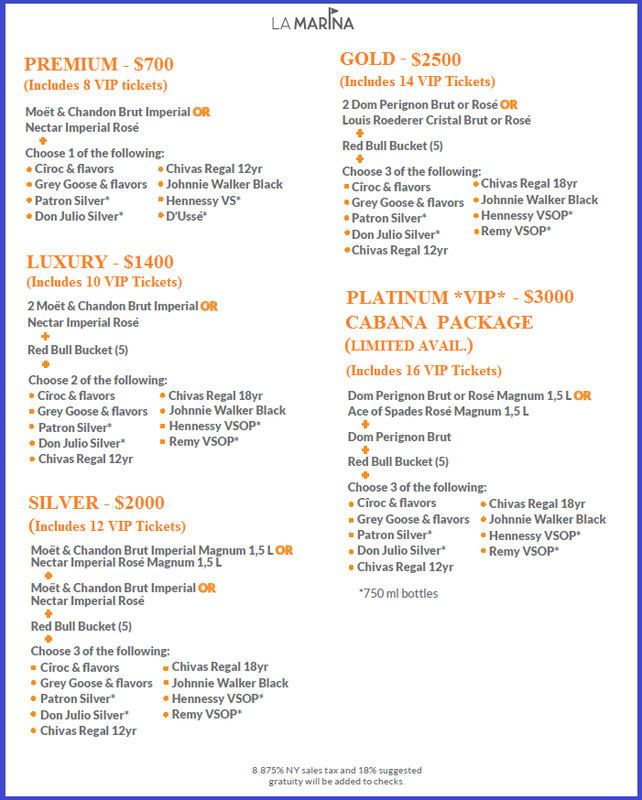 This is A Non Refundable $400 Deposit Towards The $3000 Platinum Cabana Package – Upon Arrival To The Venue Client To Pay Venue $2600 + Tax & Gratuity. Failure To Show Up At The Venue On The Day Of The Event For Any Reason, Will Not Entitle You To A Refund! This Payment Is A Non Refundable Deposit Towards The Purchase Of The Table Package You Have Chosen. All Sales Are Final. You Will Owe The Balance Of The Table Package When You Arrive At The Venue. Your Balance Due At The Venue For This Package Will Be $2600. This Amount Does Not include NYS Sales Tax & Gratuity, To Be Paid At The Venue. By Making This Purchase You Agree To The Terms Above & Agree To Waive Any And All Rights To Dispute This Purchase After The Fact. 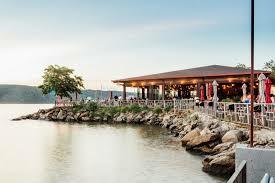 This Saturday July 21st 2018 Deep Root Records, Royale Marketing, and H.O.T Entertainment proudly present the continuation of the highly anticipated Beach Party series at La Marina, the premier Waterfront Destination in Manhattan! 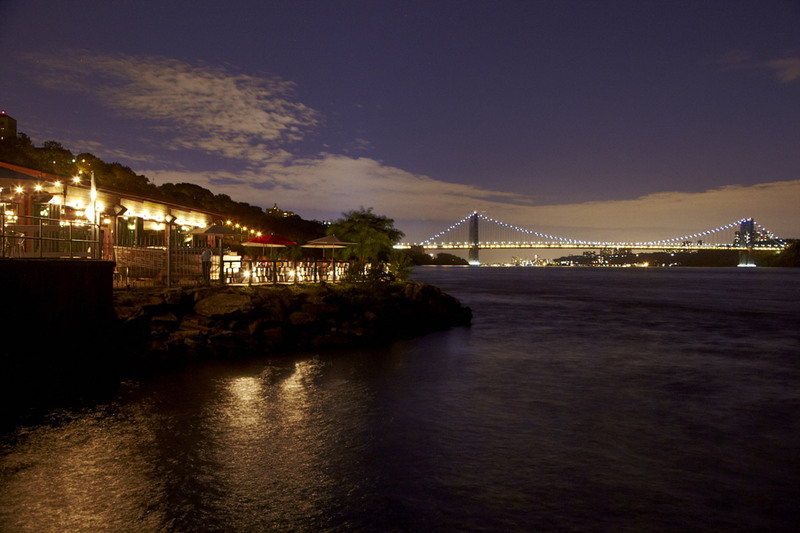 La Marina will be transformed into a full on festival featuring some of New York’s hottest acts, DJ’s and performers. For the evening we will be showcasing a variety of music and the bar will be serving exotic cocktails from all over the world! 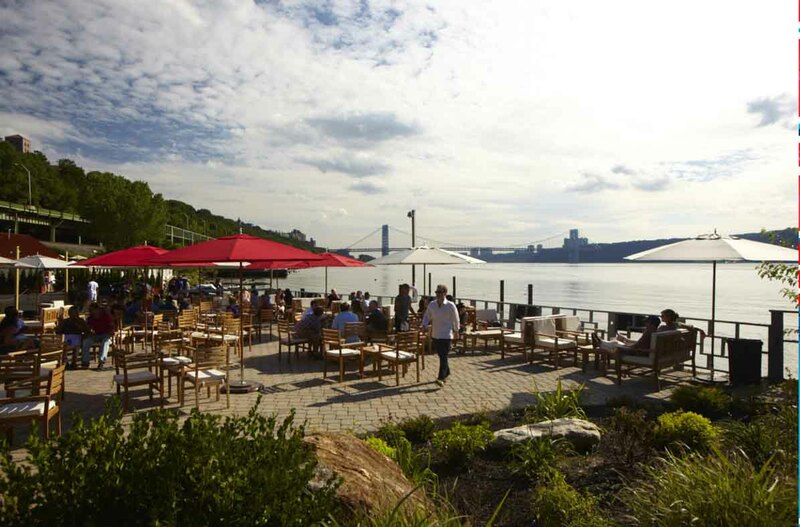 Nothing shouts ‘Summer Celebration’ better than being beachside with amazing views of the Hudson River while being in the best city in the world! 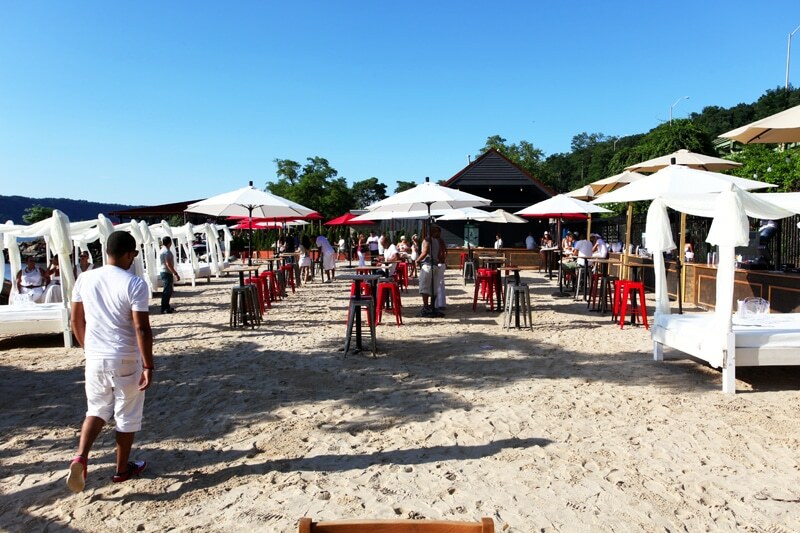 The first beach party of its kind will host special performances by Austin Millz, Thiago, Mark La Rush, Luther Riggs, Jay Roman, Benny B, Tone Troy B2B AG, and DJ Dawson. 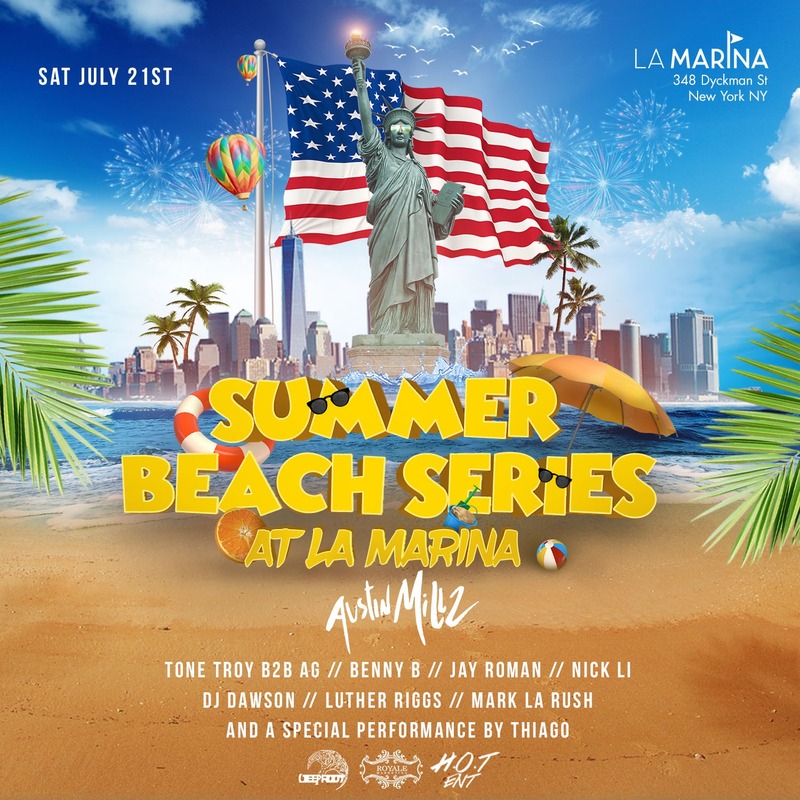 The iconic outdoor beachfront venue, La Marina, has hosted a wide array of talent over the years including Beyonce, Jay-Z, Erick Morillo, and Boris to name a few. This Summer, the gorgeous beach oasis will be transformed into a festival venue, with immense room on the beach, plush seating, gourmet food, private cabanas, and modern amenities to luxuriate in! Music will be amplified by a state-of-the-art sound system and the performances will be set off by intense festival lighting, led light shows later in the night, and stage performances.